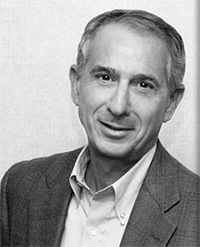 One of four founding principals of Cook, Little, Rosenblatt & Manson, Arnie Rosenblatt contributes a strong litigation force to the team. His straightforward style and thorough understanding of the nuances of business law make him a persuasive and effective advocate and counsel. Arnie moved to New Hampshire in 1987 after practicing business litigation in New York City for five years. He has successfully handled a wide variety of matters in state and federal trial and appellate courts as well as arbitration proceedings. These include cases in the areas of trade secrets, trademarks, patents and other forms of intellectual property, shareholder and partner disputes, non-competition agreements, employment matters, lender liability disputes, contract actions, and professional malpractice matters.